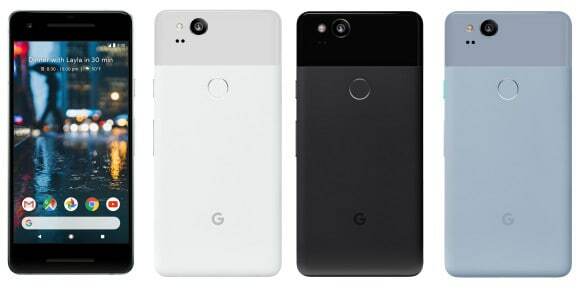 Incredibly reliable leaker Evan Blass has published pictures and details of Google’s upcoming Pixel 2 smartphones on VentureBeat. He has also confirmed that neither device will feature a headphone jack, which means users will have to rely on a USB-C adapter or Bluetooth. It also means Google will no longer be able to put out Pixel ads that take sly swipes at the iPhone’s missing port. Blass says both Pixel handsets will be powered by a Snapdragon 835 chipset — the same one found in the Galaxy S8, the LG V30, and other 2017 flagships — not a faster Snapdragon 836 processor as originally planned. Other features are said to include 12-megapixel cameras, 4GB of RAM, and 64GB or 128GB storage options. 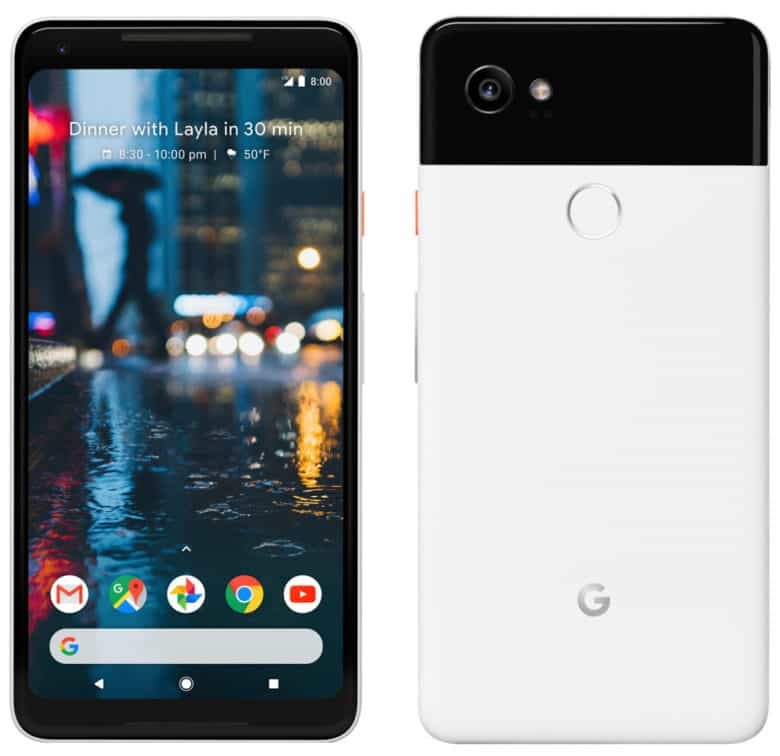 The smaller Pixel will pack a 5-inch 1080p display with a 16:9, while its larger sibling will pack a 6-inch Quad HD display with an 18:9 aspect ratio. Strangely, Google has minimized the bezels on the Pixel 2 XL to make it almost as pretty as competing devices. They’re significantly slimmer all around the screen, though it certainly isn’t an edge-to-edge display. The smaller Pixel 2 still has sizable bezels. On the smaller Pixel 2, however, large bezels remain on the top and bottom edges — just like on the original Pixel. It’s a strange design decision that will surely upset a lot of Pixel fans who prefer the more compact model. Google will unveil the Pixel 2 lineup tomorrow, October 4. The Pixel 2 is expected to make its debut later this month, but it is thought fans will have to wait until November to get their hands on the Pixel 2 XL. Both will be available to pre-order before making their debuts.